A wonderful holiday gift idea & keepsake for all ages! A highly skilled, third-generation silhouette artist, Erik Johnson cuts amazing free-hand profiles with lightning speed & extraordinary precision. Cost is $30 each. A duplicate of the same person is $18. Framing is available. Cash & credit cards accepted. Erik is a popular guest artist at FUNdamentally Toys. We highly recommend you book a 5-minute appointment time in advance. 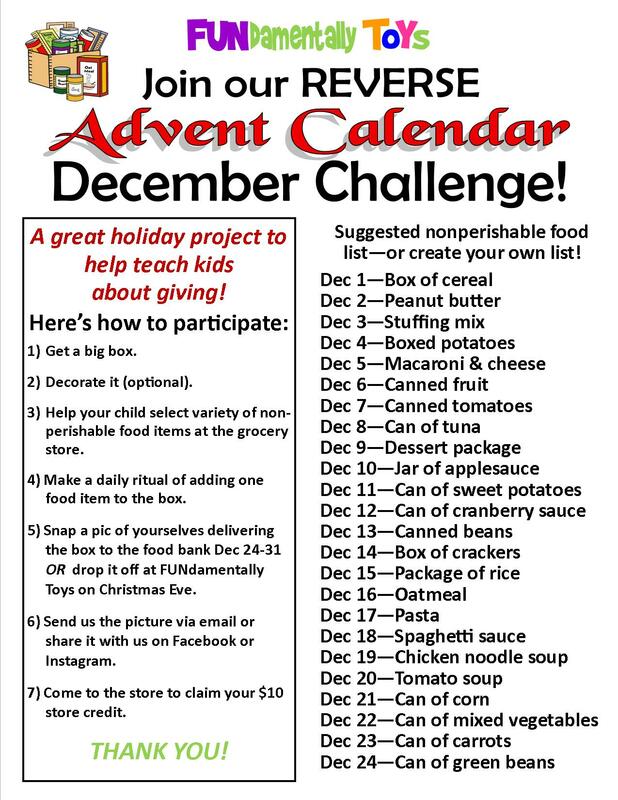 A Reverse Advent Calendar is a fun holiday project that teaches kids about giving. 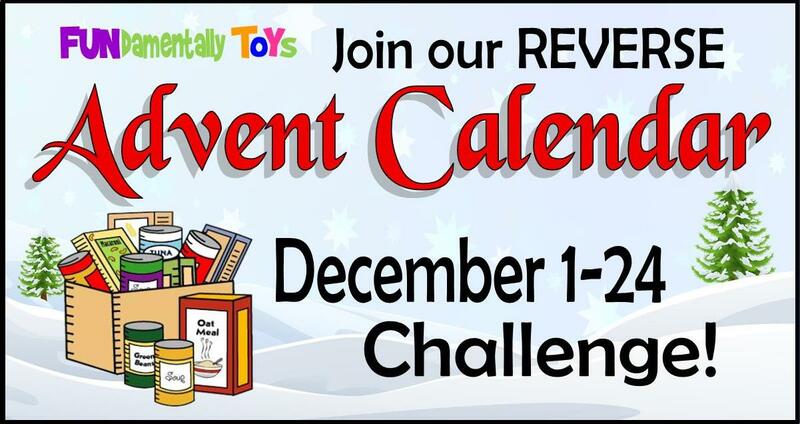 Participate in our challenge December 1-24 & earn a $10 FUNdamentally Toys' store credit. Send us an email saying your up for the challenge or comment on our daily Facebook & Instagram posts. Download the PDF for details to share with your child. Let's go ALL IN for giving this holiday season!